Do you love pigs? Of course you do, who doesn’t? I’ve loved them from afar for many years but now I have to the good luck of getting up close and personal with them on a daily basis. 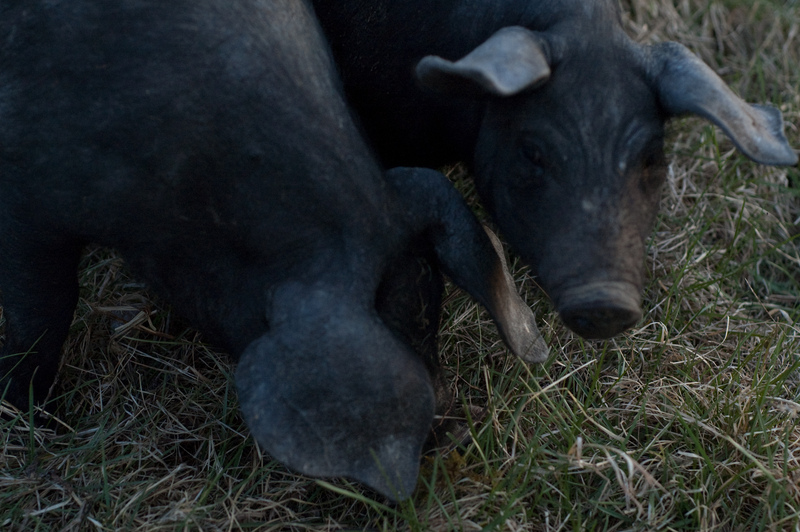 There is little in the world more engaging to watch than happy pigs. They run, they frolick, they root and scratch and eat with their elbows on the table. Yes they do remind me of my children but with slightly higher personal hygiene standards. Now that our farm is beginning to expand I have a few chores to do each morning and we have a few more housekeeping elements to take care of on the weekend. 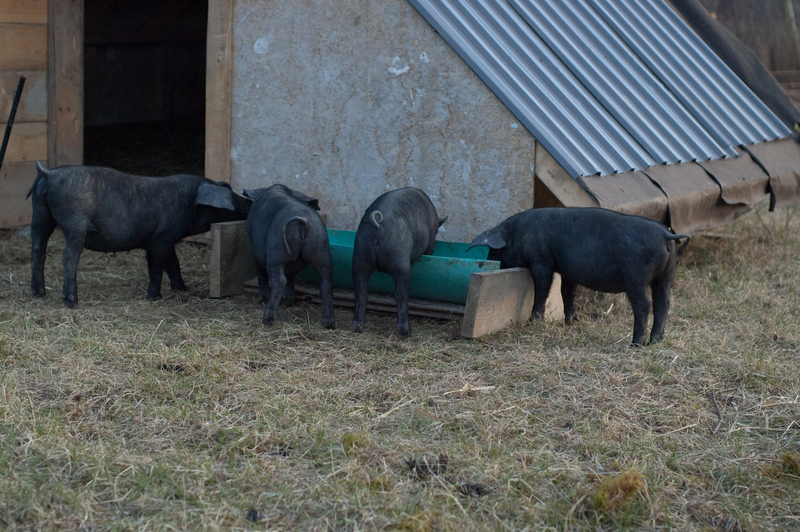 Each morning the pigs get a good feed up and some fresh water, the same again each evening. This weekend we (Stephen) cleaned out their pig cottage and popped in two lovely fresh bales of hay for eating/snuggling/plopping on. 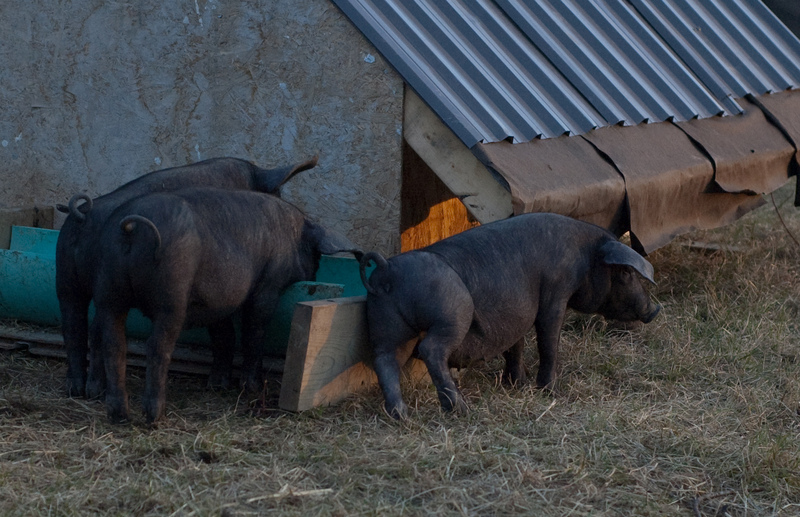 The pigs were most pleased and duly frolicked about, enjoying the bouncy freshness. This afternoon I helped shift the stinky hay into the newly built composter next to the pig field. I was ably assisted by a very keen, strong and super helpful six year old boy who dug, shifted, wheel barrowed and generally farm boyed around. After a while, though, he required a rest and a snack so I finished up myself. The cold breeze was soon unnoticed as I moved barrow after barrow to the composter. The spring sunshine warmed my face and the pigs antics warmed my heart. Watching them chase each other around, happily munch on food or pasture or scratch themselves on their favourite cottage corner is the best entertainment anyone could wish for. The time went quickly and too soon I was called inside for some Mumming duties; scraped knees to be tended, food to be made. By the end of this year the field they occupy will be ploughed and available for planting next year; their rooting noses will dislodge grass, hillocks and anything else they come across. They are creatures full of curiosity and playfulness, fully enjoying the freedom of a life on grass under a boundless sky. I feel so lucky to have the chance to observe them, to share this time with them, to care for them. I know the time will come when we have to let them go, that is the nature of a farm and I know it will be hard. 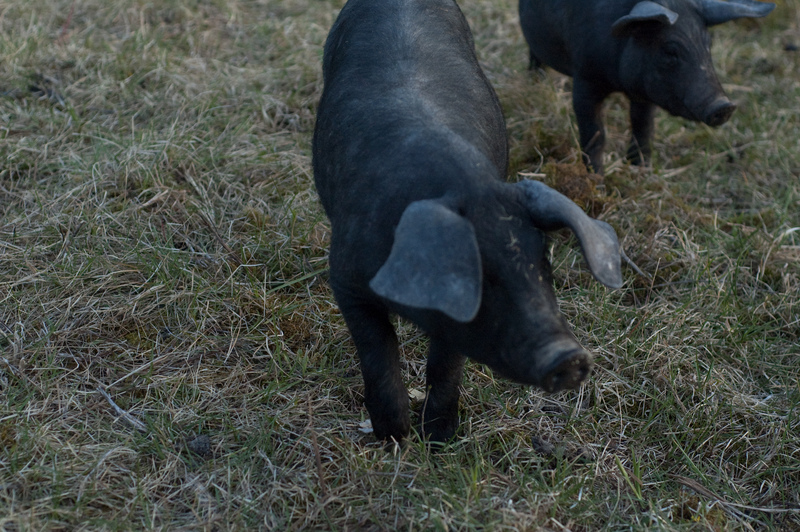 But in the meantime I’ll enjoy them and do my best to make sure they have a lovely life, a life any pig might envy. Considering the amount of time they spend napping it is a life a human might envy too, including me! 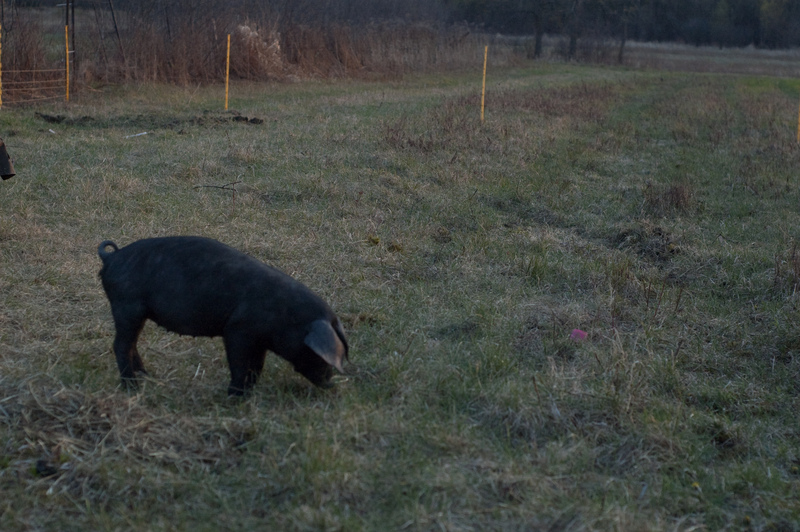 I wonder if 2.0 will let me get some piggies for our backyard… I’m thinking not. Guess I’ll just have to enjoy your wee friends! They really don’t take up too much space and all the mud honky poo and stuff is easily manageable as long as you no longer need to use your back garden and none of your neighbours use theirs. See? There is always a solution if you look for it. Watching those little bums scratching away never fails to crack me up!